The 2011 Lutheran Social Services of Northeast Florida was themed "Hopeless to Hope" and spotlighted a success story from each of their five major programs. I met some amazing people while art directing the photo shoots. They undoubtedly inspired my designs. Their main program, Second Harvest North Florida, is so large that it warranted a companion report. 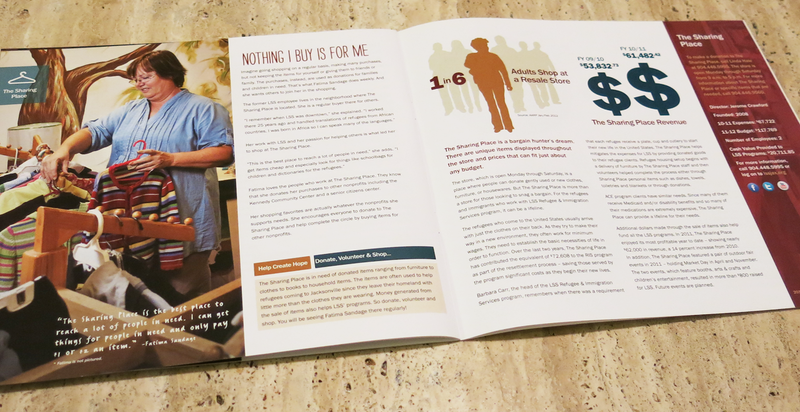 In both reports I used info graphics to break up the text, along with striking portraits of clients, staff and volunteers.